Looking for a New Porsche 911 in your area? CarGurus has 196 nationwide Porsche 911 dealers with 5,394 new car listings. The Porsche 911 has been around for seven generations. Over the years, it has seen plenty of changes, including a continually evolving model lineup that ensures there’s a flavor of 911 perfect for everyone. The base Carrera and Carrera S trims received a mid-cycle refresh just last year, so for 2018, the spotlight is on updates to the GTS trims, a new GT3 trim, and the debut of an all-new Turbo S Exclusive Series trim. The 911 GTS is available in five trims: the rear-wheel-drive (RWD) Carrera GTS coupe or Cabriolet, the all-wheel-drive (AWD) Carrera 4 GTS coupe or Cabriolet, and the Targa 4 GTS. All GTS trims are equipped with a twin-turbo 3-liter flat 6-cylinder (flat-6) engine with a new turbocharger. The upgraded powertrain comes with a larger housing, compressor, and turbine that operate with higher boost pressure for an output of 450 hp and 405 lb-ft of torque, and it’s paired with a standard 7-speed manual transmission or available 7-speed PDK dual-clutch transmission. 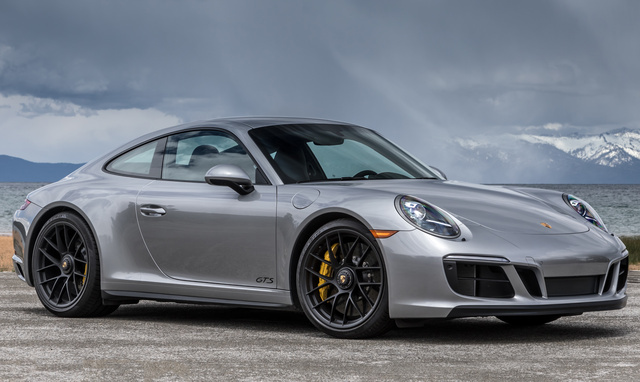 This year’s GTS models boast 0-60 times that are 0.3 seconds faster than comparable Carrera S/4S and Targa 4S models, with the Carrera 4 GTS reaching mph in a mere 3.4 seconds when equipped with the automatic transmission. 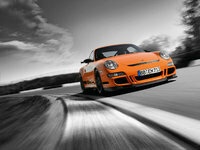 Top speed also goes up by 3 mph, topping out at 193 mph for the RWD GTS Carrera with a manual transmission. The 911’s Carrera 4 body provides the GTS with a 40 mm wider track for reduced body roll and improved cornering. A special PASM sport suspension comes standard on the Carrera GTS and 4 GTS coupe variants and lowers the ride height for even better handling. The Sport Chrono package is standard no matter which GTS you choose. 911 GTS models gets a new SportDesign front fascia for a fresh look and improved aerodynamics. 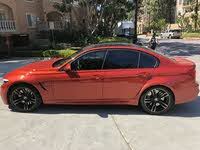 You’ll also notice a more pronounced front spoiler and a higher rear spoiler, along with black logos, a rear lid grille with stripes, and satin-black center-mounted tailpipes to enhance the performance aesthetic. Pricing starts at $120,700 for the Carrera GTS coupe and $133,000 for the Cabriolet, while the 4 GTS coupe comes in at $127,600. Both the 4 GTS Cabriolet and Targa 4 GTS are priced at $139,900. Taking a step up in performance brings you to the 911 GT3 with a 4.0-liter naturally aspirated engine good for 500 hp with 339 lb-ft. It offers a 0-to-60 time of 3.2 seconds and a top speed of 197 mph with the 7-speed automatic transmission or 198 mph with a 6-speed manual. Spring and damper tuning have been optimized for better handling, and the interior boasts a GT sports steering wheel and sports seats with extended side bolsters. Full bucket seats with carbon-fiber backrests are available. Pricing for the GT3 starts at $143,600. If you’re seeking a considerably more exclusive version of an already singular car, you might want to check out the new 911 Turbo S Exclusive Series Coupe. Porsche will build just 500 units of this model worldwide, with pricing starting at $257,500. It’s the most powerful Turbo S ever, with a twin-turbo 3.8-liter flat-6 engine good for 607 hp and 553 lb-ft. It posts a 0-to-60 time of 2.8 seconds and will hit 124 mph in only 9.6 seconds. Top speed is 205 mph. The Turbo S Exclusive Series is designed by Porsche Exclusive Manufaktur, the automaker’s new in-house workshop for custom and limited-edition vehicles. It will come with a choice of several exterior colors, including an exclusive Golden Yellow Metallic paint. The unique rear fascia and exhaust system are finished in black, with carbon fiber accents on the front trunk lid, roof, and side skirts. One of the special aspects of this 911 Turbo S Exclusive Series is that for the first time ever, customers have the option of purchasing a watch created with the same specifications of the car. The housing is made of lightweight titanium with a black titanium carbide coating, the carbon dial takes its inspiration from the car’s carbon weave and paint, and the rotor design is modeled after the rims. Finally, a matching luggage set is available that will fit perfectly into the 911’s luggage compartment. What's your take on the 2018 Porsche 911? Have you driven a 2018 Porsche 911? Enter your zip to see incentives for a new 911 in your area.